Predefined Template allows the admin to import a search page layout that is previously built or provided by the plugin(Built-in). Moreover, now you can save any search layout at any time that you are building. Let&apos;s check how someone can use the feature. When the site admin opens a blank search page to build the search page, it appears like the following screenshot. Now, the site admin can build the search page from scratch using the button Add Block. 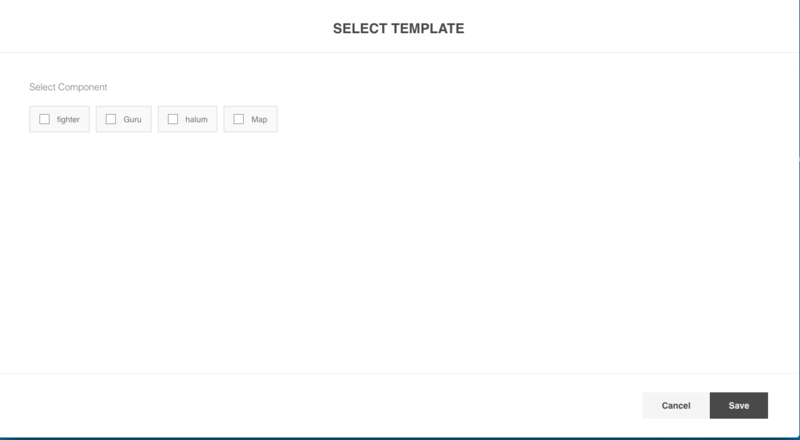 or he can select any predefined template by clicking the button Select Template. If the admin clicks the button Select Template it will look like the following screenshot. It is the list of the Search Page Layout that the admin can choose. After choosing one the Search Page will look like the following screenshot. Only the layout will be imported. Currently, we did not provide the facility to import the setting. Now, after changing a little on the template you can save it as a new template and override previous one. Then the search page will look like the following. So, Build your page And Save It and import when even you like on building another search Page. Enjoy!